In 2011, StartUp Health introduced a new model for transforming health by investing a global army of coachable entrepreneurs to improve the health and wellbeing of everyone in the world. StartUp Health has the world's largest digital health portfolio (more than 250 companies spanning six continents, and more than 20 countries and 70 cities), and is organizing this rapidly growing army of Health Transformers along with the world's 'batteries included' leaders, innovators, and investors to solve 10 Health Moonshots, each of which can impact at least a billion people. Steven Krein is the CEO and co-founder of StartUp Health. StartUp Health is on a 25 year mission to empower entrepreneurs to improve the health and wellbeing of everyone in the world -- by investing in a global army of coachable entrepreneurs -- called Health Transformers -- who have the mindset to achieve Health Moonshots. StartUp Health partners with ambitious and passionate entrepreneurs who are working on life-changing companies as part of what is now the world’s largest health innovation portfolio -- with more than 245 companies from 20 countries and 6 continents - along with a curated worldwide network of 200,000 innovators, industry leaders and investors committed to supporting the entrepreneurs reinventing the future of health. Steven is a serial entrepreneur, speaker, investor, advisor and entrepreneurial coach. Prior to StartUp Health, Steven cofounded and led several technology companies including OrganizedWisdom, Promotions.com and Webstakes, a global online advertising, direct marketing, and technology company, which he took public on Nasdaq in 1999 before it was acquired by iVillage in 2002. In 1994, Steven helped launch Law Journal Extra!, now known as Law.com, the first online legal news and information publisher. Steven received his JD degree from Delaware Law School and BA degree from the University of Maryland, College Park. Steven is a member of YPO (Young Presidents’ Organization) and lives in New York City with his wife and three daughters. 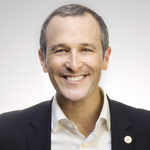 Dr. Howard Krein is the Chief Medical Officer of StartUp Health. StartUp Health is on a 25 year mission to empower entrepreneurs to improve the health and wellbeing of everyone in the world -- by investing in a global army of coachable entrepreneurs -- called Health Transformers -- who have the mindset to achieve Health Moonshots. Additionally, Dr. Krein is the Senior Director of Health Policy & Innovation at the Sidney Kimmel Cancer Center. He also is an Assistant Professor of Otolaryngology: Head & Neck Surgery at Thomas Jefferson University and a founding partner and co-director of Jefferson’s Facial Aesthetic and Reconstructive Center. In 2017, Dr. Krein was appointed to the Board of Directors of the Biden Cancer Initiative. Dr. Krein is part of an exclusive group of physicians with two doctorates, receiving his MD from Thomas Jefferson Medical College in Philadelphia and a PhD in Cell and Developmental Biology from UMDNJ/Robert Wood Johnson Medical School. Dr. Krein completed internships in both Emergency Medicine and General Surgery, a residency in Otolaryngology: Head and Neck Surgery at Thomas Jefferson University Hospital in Philadelphia and a Fellowship in Facial Plastic and Reconstructive Surgery at Medical College of Virginia in Richmond Virginia. He earned his Bachelor’s degree in Biology and a Master’s degree in Neuroscience from Rutgers University. Dr. Krein lives in Philadelphia, PA. Describe moonshot thinking and how it’s being used to help improve health care. Identify and recognize what the 10 Health Moonshots are to improve the health and wellbeing of everyone in the world. Describe how technology has an imperative role in improving the health and significance in moonshot thinking. Krein, Steven and Krein, MD, PhD, Howard, "10 Health Moonshots: How a Global Army of Health Transformers Is Accomplishing One Impossible Dream" (2018). College of Population Health Forum. Presentation 123.